Like integrations, you need to be an admin in order to set up the Translate plugin. 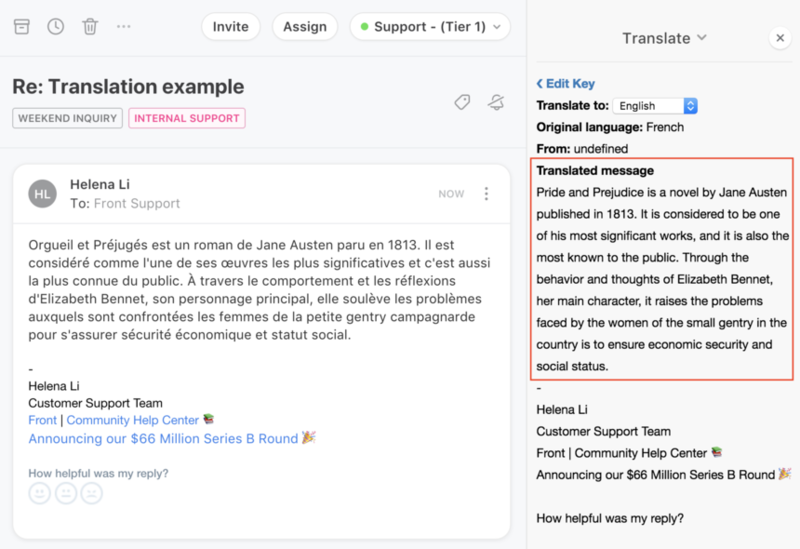 The Translate plugin allows you to read the translation of a message, and copy and paste custom content in the box to translate additional text. Go into your Settings and select Plugins & API, and Add a plugin. Click Save to finish setting up the Translate plugin. Now you'll need to get an API key from a translation provider. 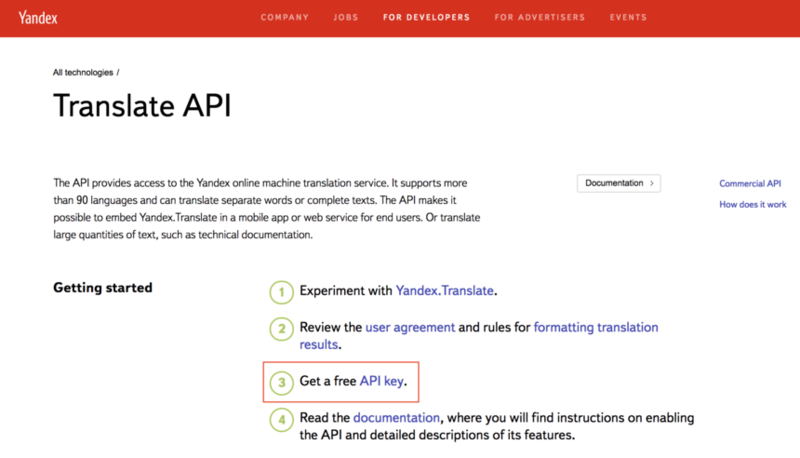 We currently only support Yandex's translation API, so go to https://tech.yandex.com/translate, and select Get a free API key. 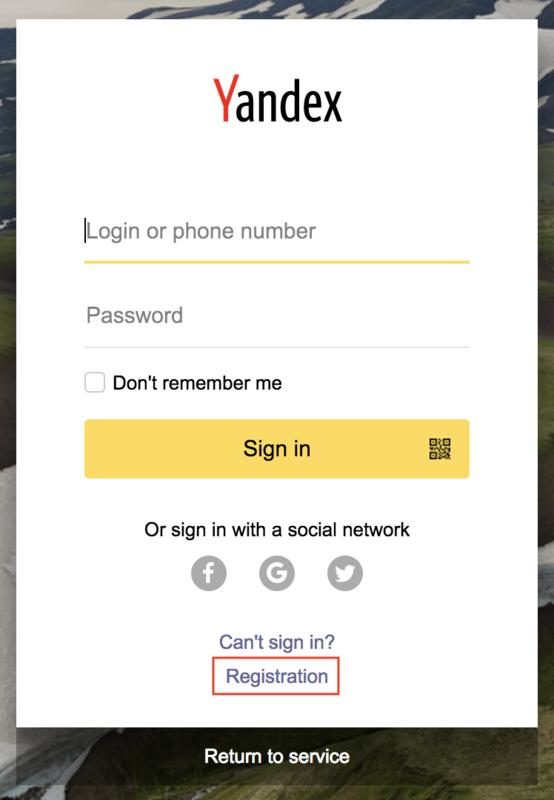 If you don't already have a Yandex account, click Register to create one. Make sure the User Agreement box is checked, and select Get API key. You should now see the API key. Copy it. Go back to Front and select Translate from the plugin panel. Paste the API key from the Yandex website, and click Save. You should now see the translation of your message. You can also use the text box at the bottom to translate other text.